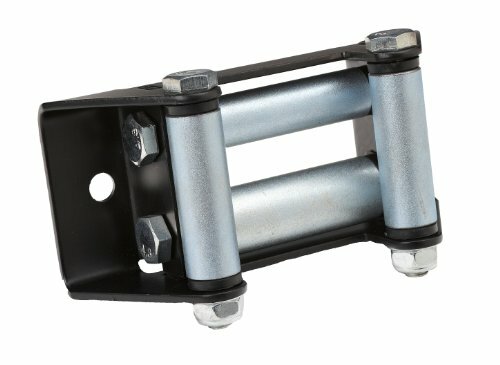 Our durable VIPER roller fairlead will reduce wear on your steel winch cable and greatly assist with angled pulls. It has Delron bushings & Zinc plated rollers that stand up to the toughest task. The black mount is powder coated using an industrial grade process. Actual measurements are 6 3/8″ (L) x 2 1/2″ (H); Bolt dimensions are 4 7/8″ center to center of bolt holes. See picture for additional information.